Have too many coupons to manage? 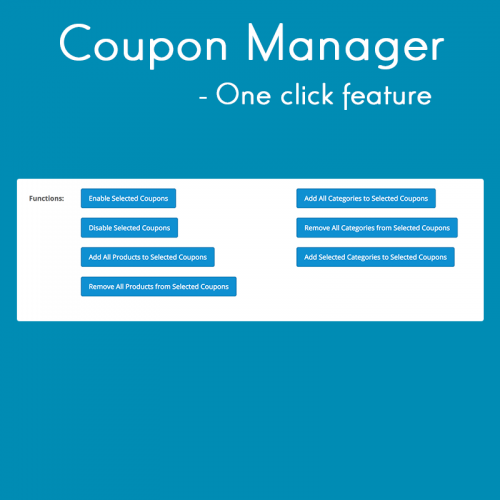 Coupon Manager allows you to easily manage all your coupons from one single interface. 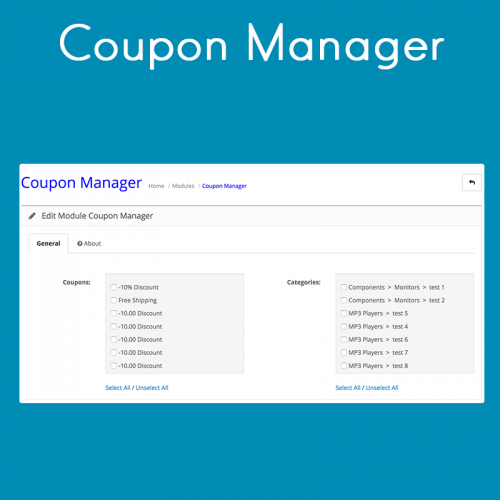 You can select the coupons you wish to modify, and update their statuses, their products, or their categories in one single click.